People who have been wary of homebuying in the past are starting to change their mind. Several of the markets on this list are expected to jump by more than 10 percent next year. Many of these cities are doing well due to rising employment rates and large employers such as universities. We’re heading into the twilight of 2015. With the holidays around the corner, travel and shopping are top of mind, but so is homebuying. According to Realty Today, although mortgage rates have been a bit rollercoaster-like in the 2010s, 2016 marks the year when real estate values will slow their pace and even out. 2016 marks the year when real estate values will slow their pace and even out. What does this mean? Many people who were wary of buying a home in the past might change their mind and take the plunge, especially with so many starter and newer homes popping up across the U.S.
It’s no surprise that Boston makes the top 10 list, and the reasons make total sense. Salaries are generally higher here due to several universities in the area as well as many major corporations. However, CNN Money pointed out that space is at a premium in Boston, as homes are rapidly being sold. Be sure to jump on selling trends quickly before the market slows. As a city with a strong military community, Virginia Beach is always seeing an influx of new residents, which makes it an excellent place for real estate agents to get their feet wet. With green space, families and an economy that’s rapidly improving, Charlotte is a rising city with tons of potential for millennial homeownership. Software and tech jobs in the area are growing, which means that this area should continue to boast a booming housing market for years to come. Another southern city makes the list. Although Memphis felt the impact of the recent recession during most of the 2010s, it has seen a remarkable resurgence in the past year and should continue to impress heading into 2016. This city packs big charm, great food and music, a thriving tourism industry and warm weather year-round. 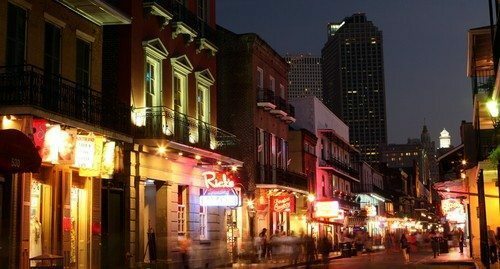 The love for NOLA shows, too: CNN Money predicts that real estate sales are expected to jump by over 10 percent in 2016. Atlanta had a big year in 2015. So big, in fact, that many experts believe that it has turned a corner from a buyer’s market to a seller’s market. Although the notorious traffic can be frustrating for locals, Atlanta has all the amenities of a metropolis without the big city price tag in other larger metropolitan areas. The Golden State, in general, experienced solid real estate gains in 2015, and the capital is just the first city on this list to see improvements in the seller’s market. Like New Orleans, sales in Sacramento are also expected to jump by more than 10 percent in 2016 thanks to a rise in median household income and positive unemployment rates. There are not too many bad things you can say about San Diego. The weather is nearly perfect all the time, glittering beaches are everywhere and the local economy is booming. As such, home sales are also expected to rise nearly 10 percent in this fun-loving city next year. As the lone Midwestern city on this list, St. Louis packs a big punch. Excellent employment rates and rising median wage growth are fueling the St. Louis rebound, leading experts to believe that demand will certainly rise in 2016 by 10 percent. Boston’s excessive real estate growth is fueling the housing market in its little brother to the south, Providence. 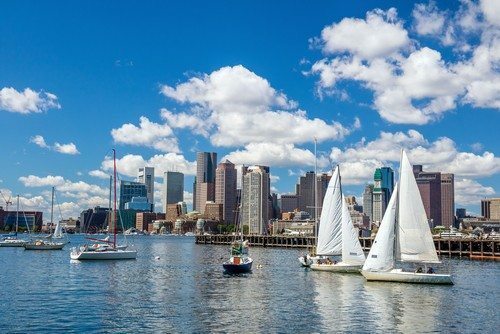 Because Boston’s real estate prices are some of the most expensive in the country, future homeowners are heading to this charming city in droves. Providence has all of the New England charm and job growth without doing too much damage on homeowners’ wallets, which makes it the hottest real estate market heading into 2016. Now that you know what markets are going to be hot next year, I wish you luck in all of your endeavors. Cheers to business growth, and have a happy new year.